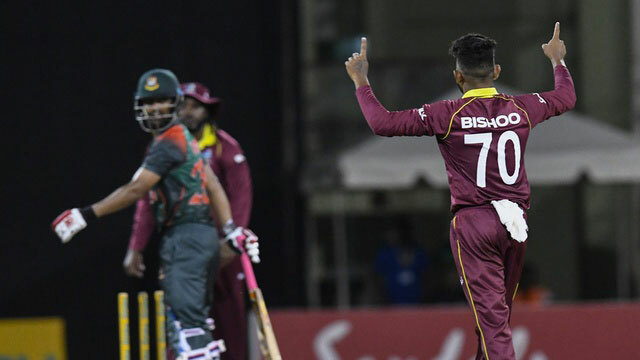 Dhaka, July 26 (Just News): Shimron Hetmyer scored a superb century as Bangladesh stumbled in the final over to hand the West Indies a series-levelling victory in their one-day game on Wednesday. "Bangladesh came at us hard and credit to them for the way they batted at the top. But we didn't give up and it really sets things up for the final match." Yet it should never have come to the final over drama, especially after the flying start in which Bangladesh raced to their fastest-ever fifty in ODIs - off 4.4 overs - and were 71 for one by the seventh over and apparently cruising. Mushfiqur and Mahmudullah, who contributed 39, then featured in an 87-run fourth-wicket stand that looked to have tilted the balance decisively Bangladesh's way. "It was a game we should have won but we made too many mistakes at the end," said Bangladesh captain Mashrafe Mortaza.